This gallery shows some rare pictures of the Laboratory at Radio Koowtijk. 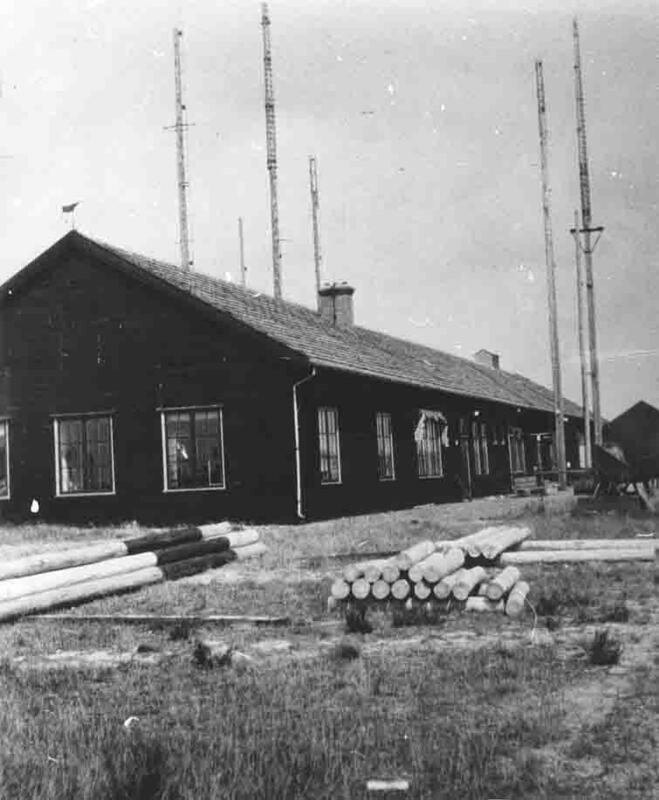 When Klaas Dijstra visited Kootwijk in 1927 (see also "Dijkstra-Malabar"), during his tropical leave in Holland, he also spent some time in this Radio Laboratory, on behalf of the Radio Lab. of Bandung (Dutch East-Indies = now Indonesia) (this laboratory was led by famous Dr. Ir. C.J. de Groot, who just sadly had pass away). 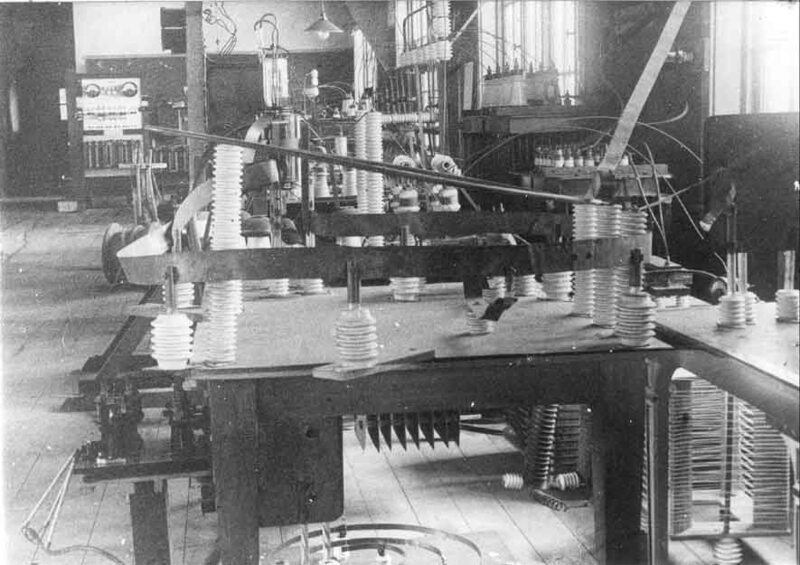 The experimental work at Kootwijk was directed by Dr. Koomans, who was a leading figure in the fields of wireless communications. Klaas Dijkstra made this photograph in August 1927. In the caption he mentioned: the broad metal strip in the centre is a tuning coil for high frequency transmission. Its (loose) coupled (antenna) coil is visible a few centimetres above the wooden floor. They employed two Telefunken water-cooled valves (tubes) in push-pull (visible in the background).